I really enjoy being a pet photographer, I find that animals warm to me, a lot of people have commented that I get on well with animals which makes being a pet photographer a lot easier. Our pets are as cherished as much any other member of the family, they are there to be looked after but they look after us with their company and love. So why not celebrate your furry friend with a pet photography portrait session. 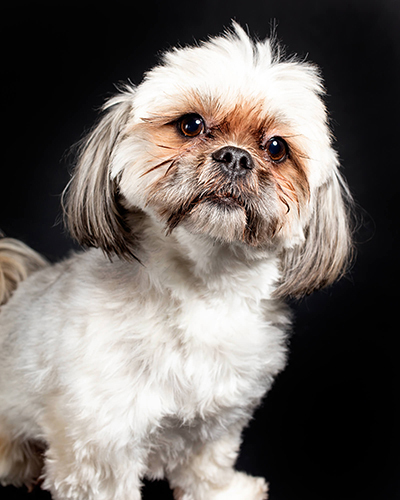 Studio pet photography is ideal for smaller animals like dogs, cats, snakes anything that can be put on a lead or brought to the studio. We stock a variety of backgrounds from dark colours to whites to bright colours to make your pet portrait pop and will use the same techniques that we use for any studio portrait creating interesting pet portraits. We can supply treats or bring your own, we also have toys and props to bring the portrait to life.